Okay, so I'm willing to bet that at this point you've heard about "mastermind groups", and that you should totally be in one. A mastermind group is a crew of roughly 4-8 business building peers who meet online or in person on a regular basis for accountability, insight and direction. And when you're in a good one, it totally rocks. But um... how exactly do you find a great group? A great mastermind group doesn't have to be harder to find than the Loch Ness Monster or a boyfriend who will actually watch The Bachelor with you. There's to connect with amazing people online in a way that might change your life, and today we're talking about exactly that -- PLUS 6 huge mistakes I've seen in the formation of groups, and how to avoid them. 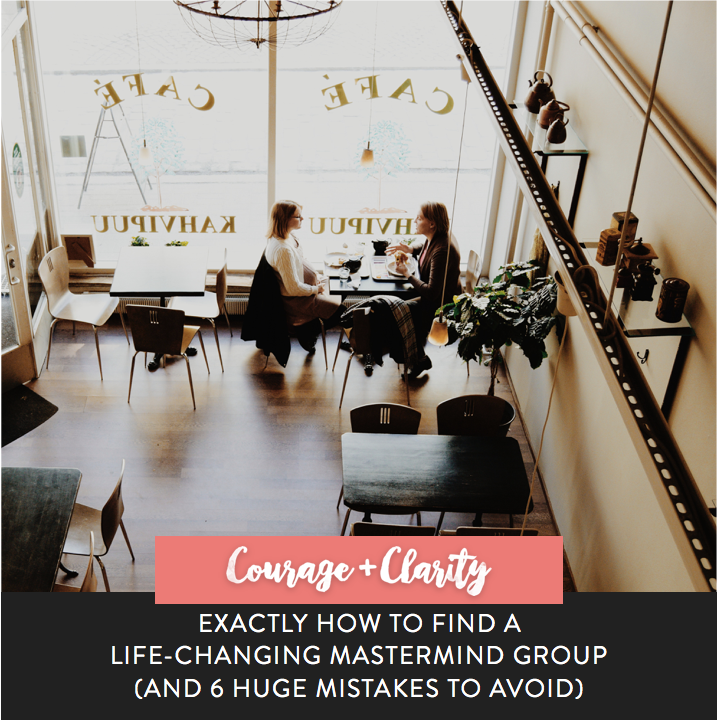 I've had two personal experiences with amazing mastermind groups -- one online that's been meeting regularly for over a year, and one recent retreat in person in NYC -- so you'll hear all about how I found them and what made them work. On top of that, we've now done two rounds of Mastermind Group pairing over at Fizzle. I've been at the helm when it came to pairing the groups together, and I've seen a lot of different results -- some groups never got off the ground, and others created business besties. Wanna know what makes or breaks a mastermind group? You gotta tune in to the episode. But first, grab your guide so you don't have to take any notes!